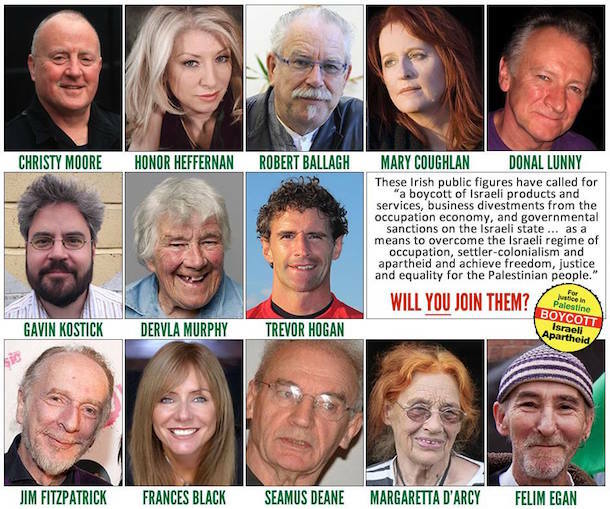 Many of Ireland’s best-known musicians, writers, artists and sports stars have called on the Irish Government to join them in supporting the growing worldwide boycott, divestment and sanctions (BDS) campaign against Israel. We, the undersigned, welcome the recent statement in the Dáil by the Minister for Foreign Affairs and Trade, Charles Flanagan, that the strategy of boycott, divestment and sanction (BDS) aimed at pressurising Israel into ending the occupation is a legitimate political viewpoint. It is also heartening that Minister Flanagan outlines the Government's support for Israeli and Palestinian NGOs which are active on justice and human rights issues. However, given this expression of support, it is both disappointing and confusing that when those same civil society organisations call on the international community to campaign for BDS as a means of showing solidarity with Palestinians living under occupation, the Irish Government refuses to support them or the campaign. 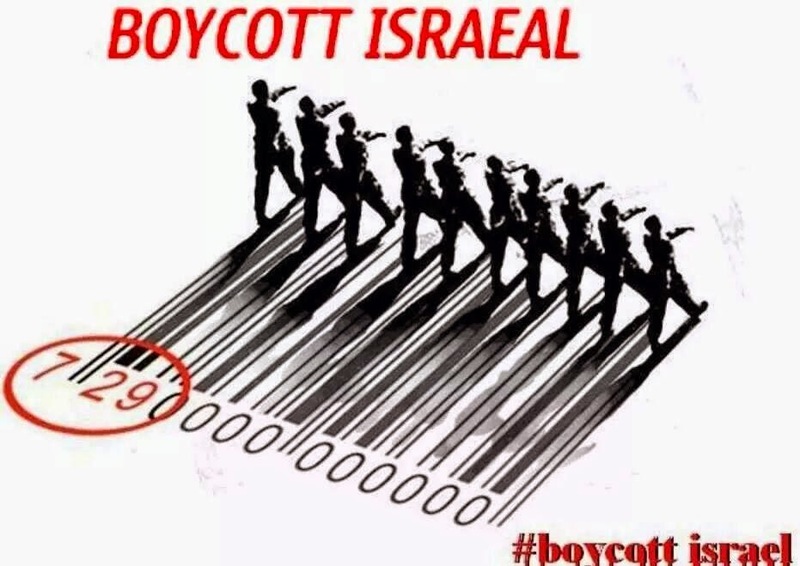 The BDS movement is a Palestinian civil-society-led global movement of citizens that carries out and advocates for non-violent campaigns of BDS as a means to overcome the Israeli regime of occupation, settler-colonialism and apartheid and achieve freedom, justice and equality for the Palestinian people. The reasons to support BDS are systematically documented by organisations like Amnesty International, Defense for Children International, the United Nations and others, which describe extrajudicial killings, imprisonment of children, destruction of people's homes and livelihoods, theft of Palestinian lands and daily intimidation with tear gas and bullets. It is for these and many other reasons that we call for: a boycott of Israeli products and services, business divestments from the occupation economy and governmental sanctions on the Israeli state. One wonders how this position can be reconciled with the American constitution.? Boycott is a legitimate initiative by Palestinian civil society leaders responding to decades of human rights abuses. It is somewhat encouraging that Minister for Foreign Affairs and Trade, Deputy Charles Flanagan, made a comment in support of the rights of the individual during the recent Debate on Human Rights Issues. Failure to renew travel documents is an effective travel ban imposed on Omar Barghouti, one of the founders of the Palestinian movement for boycott, divestment and sanctions (BDS). "The person in question is a leading advocate of the movement for boycott, divestment and sanctions, BDS, against Israel, which is intended to pressure Israel into ending the occupation. While the Government does not itself support such a policy, it is a legitimate political viewpoint, albeit one regarded in Israel as deeply hostile."